(c) Remove the remaining moulding. HINT: Make a partial cut in the moulding. Then, pull and remove it by hand. 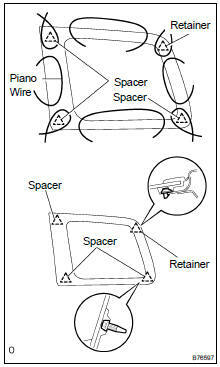 (d) From the interior, insert piano wires between the vehicle body and glass, as shown in the illustration. (e) Tie object that can serve as handles (for example, wooden blocks) to all wire ends. NOTICE: When separating the glass from the vehicle, be careful not to damage the vehicle's paint or interior/exterior ornaments. (f) Cut through the adhesive by pulling the piano wire around the glass. (g) Using a suction cup, remove the glass. (a) Clean the installation area. (b) Install new spacers onto the glass. 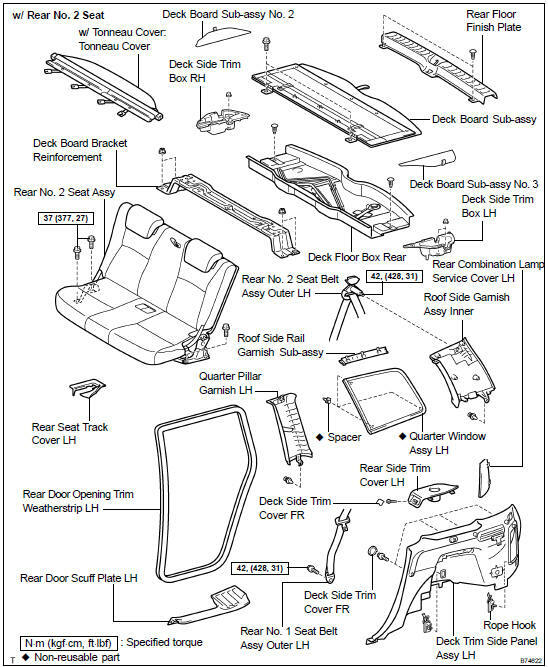 HINT: Leave as much adhesive on the vehicle body as possible. 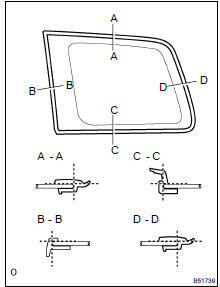 (b) Using a brush, coat the exposed part of the vehicle body on the vehicle side with Primer M.
(c) Using brush or sponge, coat the edge of the glass and the contact surface with Primer G.
HINT: If an area other than that specified is coated by accident, wipe off the primer with a clean shop rag before it dries. 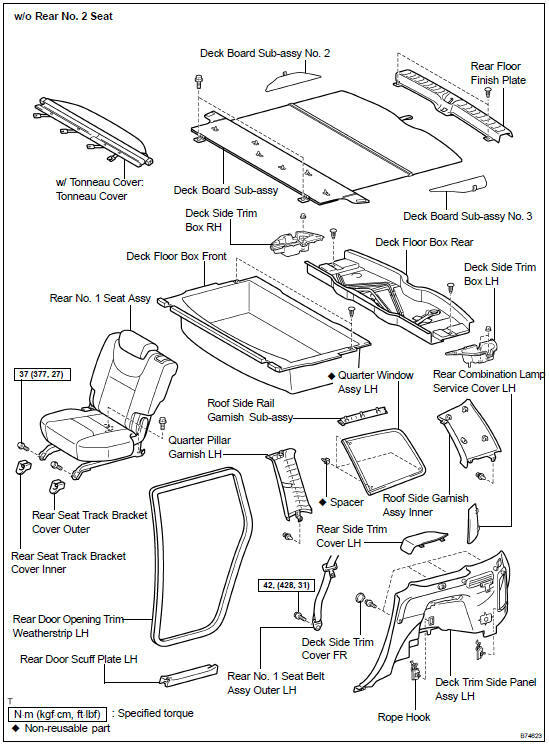 (e) Install the quarter window to the vehicle body. Hold the quarter window in place securely with protective tape or equivalent until the adhesive hardens.